Vistronix recently announced that the company has completed its acquisition of Kimmich Software Systems, Inc. (KSSI). The acquisition significantly expands the company’s technology solutions for the U.S. Intelligence Community. KSSI’s primary solution offerings are in cyber operations, signals processing, data analytics, software development and systems engineering. “We are pleased to welcome KSSI’s team to Vistronix. 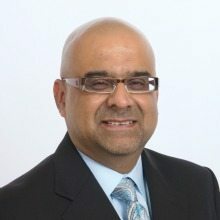 With this transaction now complete, we are strategically positioned to accelerate Vistronix’s vision to expand our capabilities in the intelligence community and to deliver mission-critical solutions that enable efficient mission operations and ensure the protection of intelligence assets and information,” said Deepak Hathiramani, CEO of Vistronix. This acquisition deepens Vistronix’s cyber operations, big data and cloud computing expertise to provide industry-leading capabilities that meet the evolving and complex needs of the intelligence community. Formed in 1994, KSSI’s employees are highly-skilled software developers, computer scientists, electrical engineers and systems engineers. “Since its inception, KSSI has been an employee-centric company with a mission to provide the best technical solutions to the most demanding clients. Vistronix’s culture is similarly aligned and will allow us to further the position of the collective company as the best-in-class in providing mission-critical software and systems engineering solutions in SIGINT, data analytics, and cyber domains,” said Jeanne Kimmich Roberts, KSSI’s President and Founder.